Mike will likely not completely endorse my verbiage here, but I will stand behind it (and he is out-of-town in Ludwigsburg, so he isn’t here to argue!). He’s had a bee in his bonnet to go see Verdun for quite some time now, and we finally got to scratch that itch! We travelled to Saarbrücken and poked around for a bit (namely in search of a Starbucks mug which unfortunately for us, is a hot ticket and was all sold out… wha wha), but our main agenda was to venture across the French border to an area in and around Verdun for some good, old-fashioned battlefield-looking. Are you excited yet? Yeah. Neither was I. I was ok with it, of course, because it is France (and my husband, who is worth suffering through a few battlefield-lookings, of course), but I can’t say that I was exactly enthusiastic. However, I found it much more interesting than it seemed at first blush (it was also much more cold than he’d convinced me that it would be, but that is a different story altogether. Henceforth, I will believe it ONLY when I see it when it comes to decent weather in these parts). 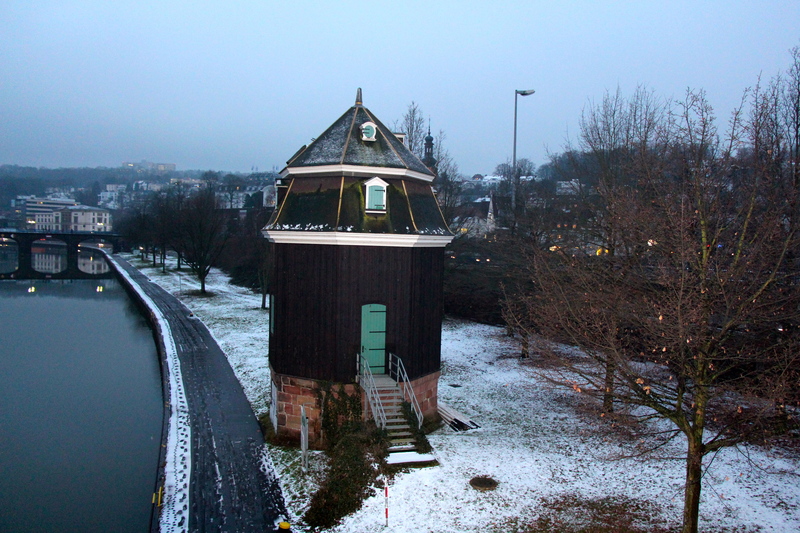 Saarbrücken itself has a rather storied past. 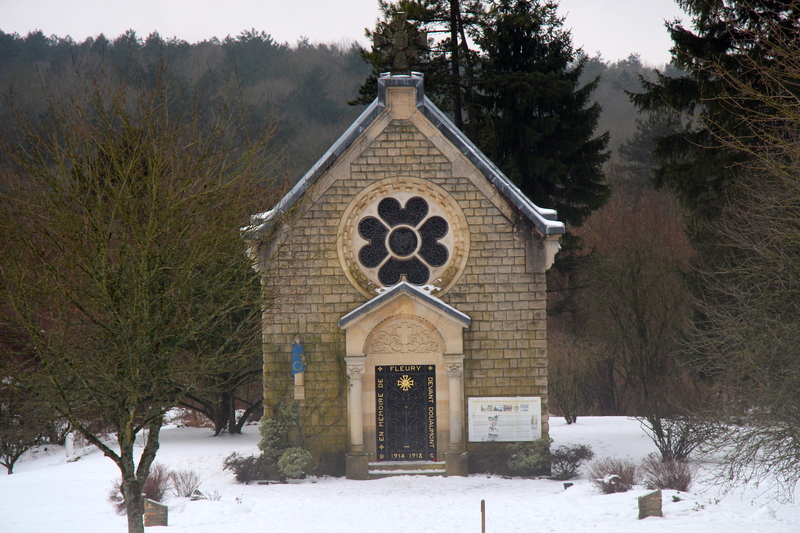 It is situated in the SE part of Germany (literally moments from the French border, so we heard as many pardons as… well, we actually heard pardons! Germans don’t frequent their version of “excuse me” much, but I think that is because it is such a mouthful, not because they aren’t polite), and used to be hot stuff when mining was all the rage. Much like West Virginia though, when mining went, so did their claim to fame. 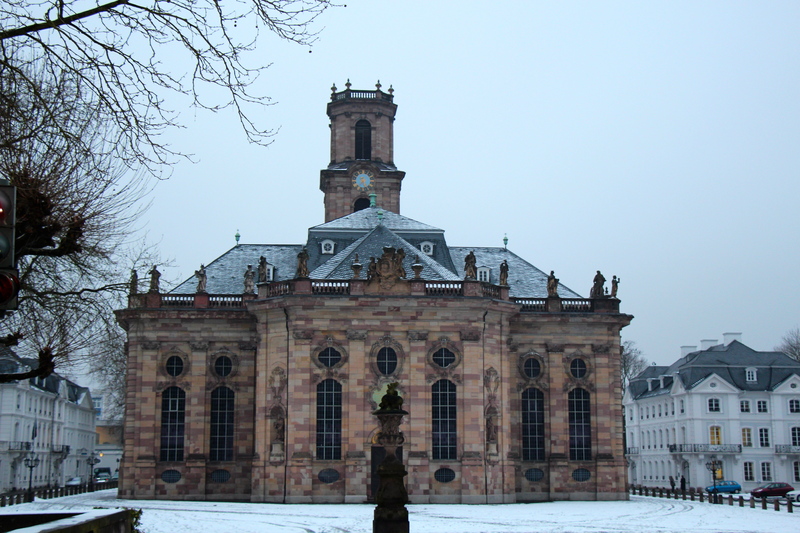 Pretty much everybody has tried to get their hands on Saarbrücken at one time or another, as it’s been ruled by the Romans (starting under Julius Caesar), the Franks, the Prussians, and more recently, it has bounced back and forth between France and Germany a few times (most recently, in 1955, its people voted to return to German citizenship). 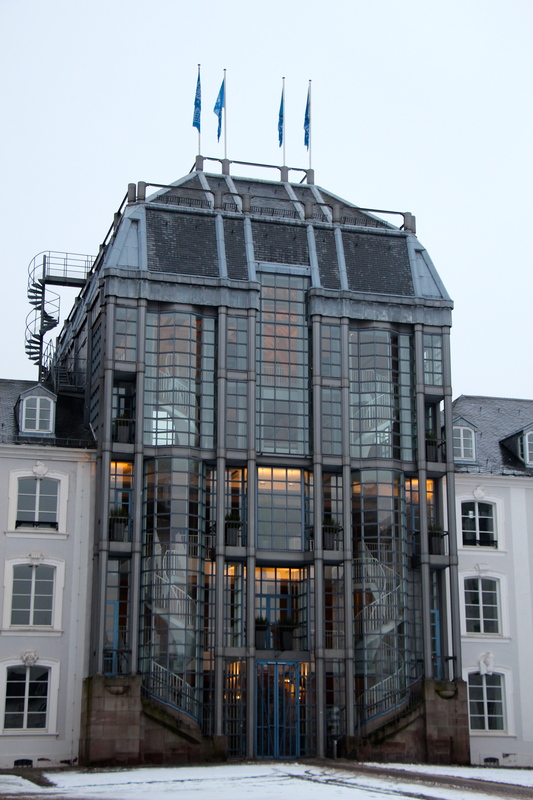 Part of the Saarbrücken castle, modernized. 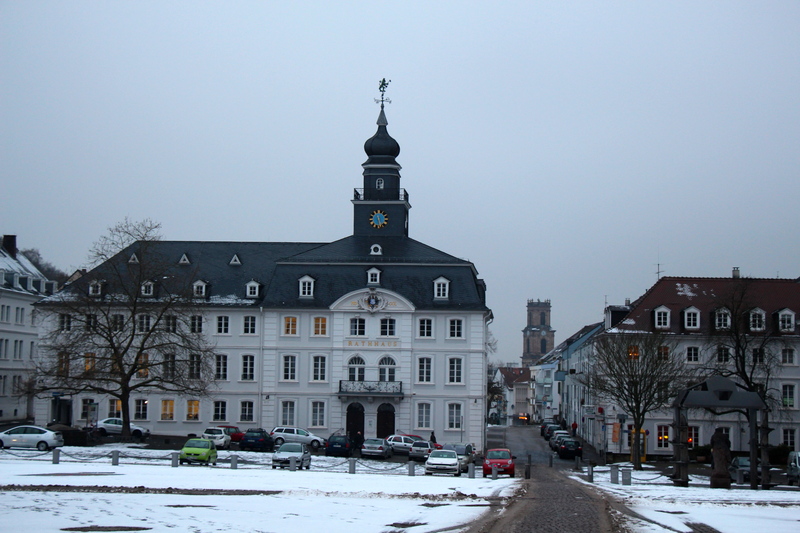 Stengel (architect) helped make Saarbrücken’s Altstadt (here is the old Rathaus) look very much like the planned community it is. Fortunately, this happened after the Franco-Dutch war, which left only 8 houses standing in Saarbrücken, and after the 30 Years War, which reduced the population down to 70! You can say a lot of things about this town, but you would have to include perserverant! 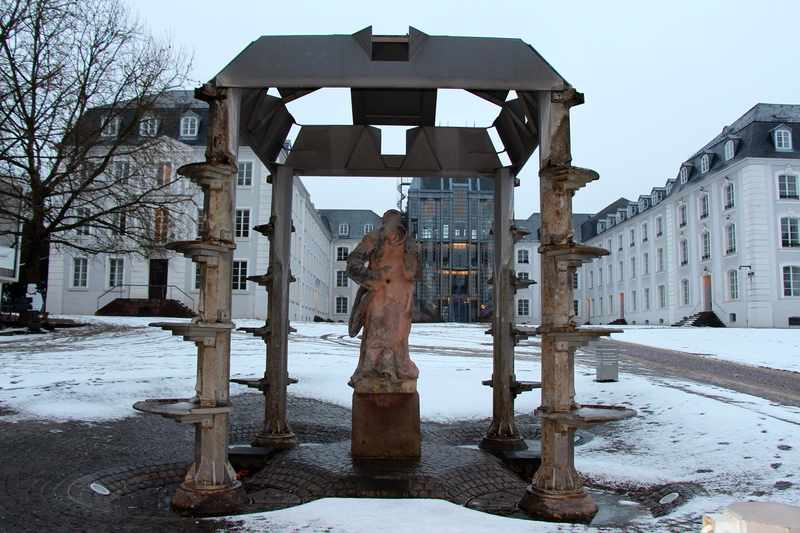 Fountain in the square… I think she’s seen better days. It seems she has lost most of her face! The Saarkran, which apparently acts like a river crane when the weather is better. 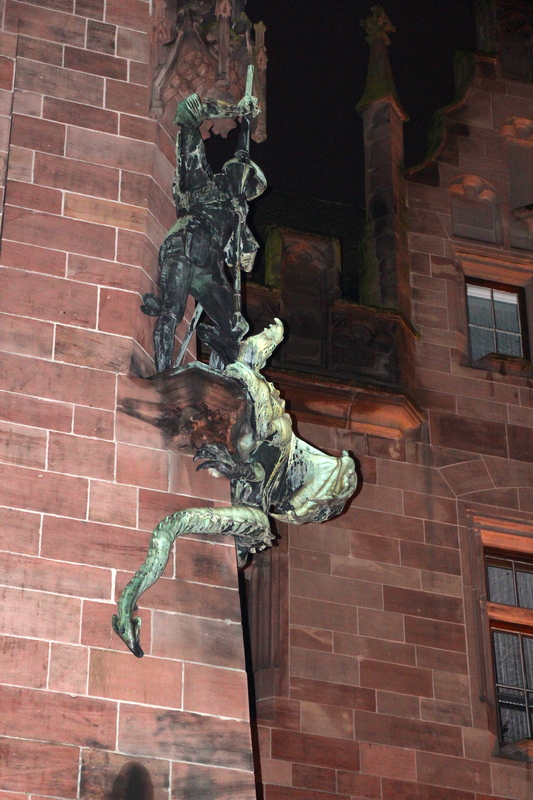 Very symbolic, right outside the “new” Rathaus. 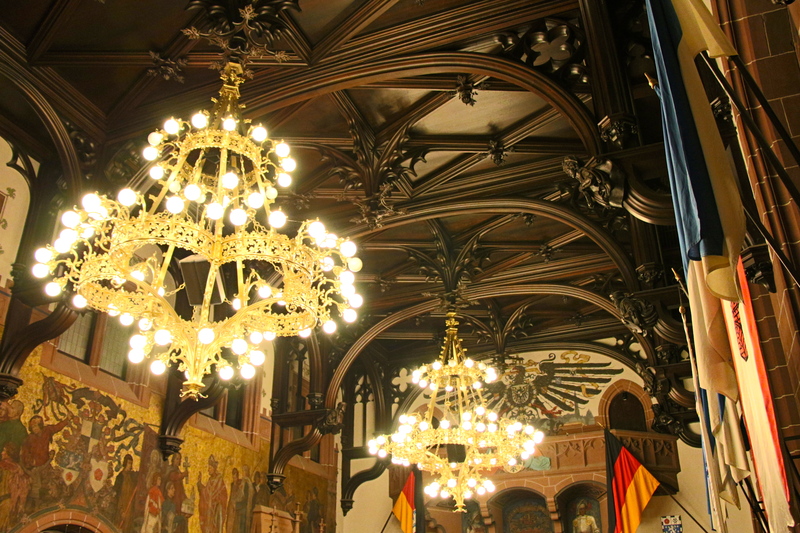 Inside the Rathaus was incredible… this is in the area they use for special events. 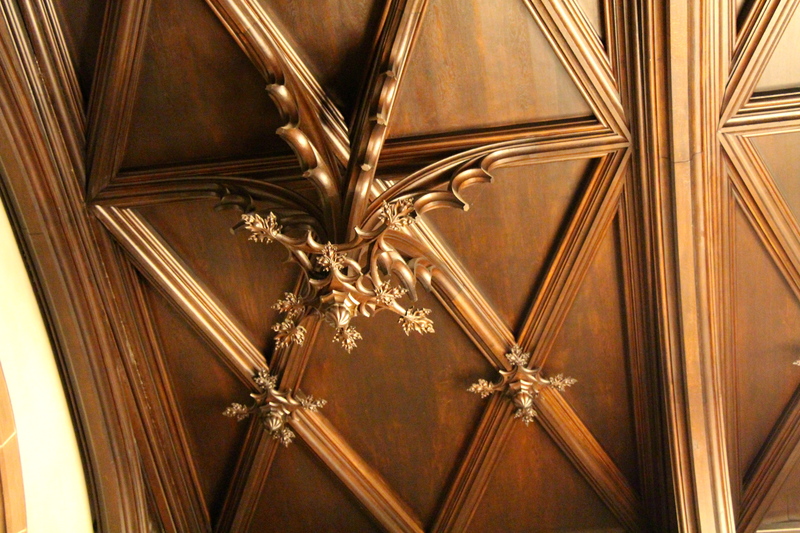 I can’t believe that they put this kind of detail into the ceiling!! Broader view of the ceiling of the events area. Let me know if you know what this sign means. 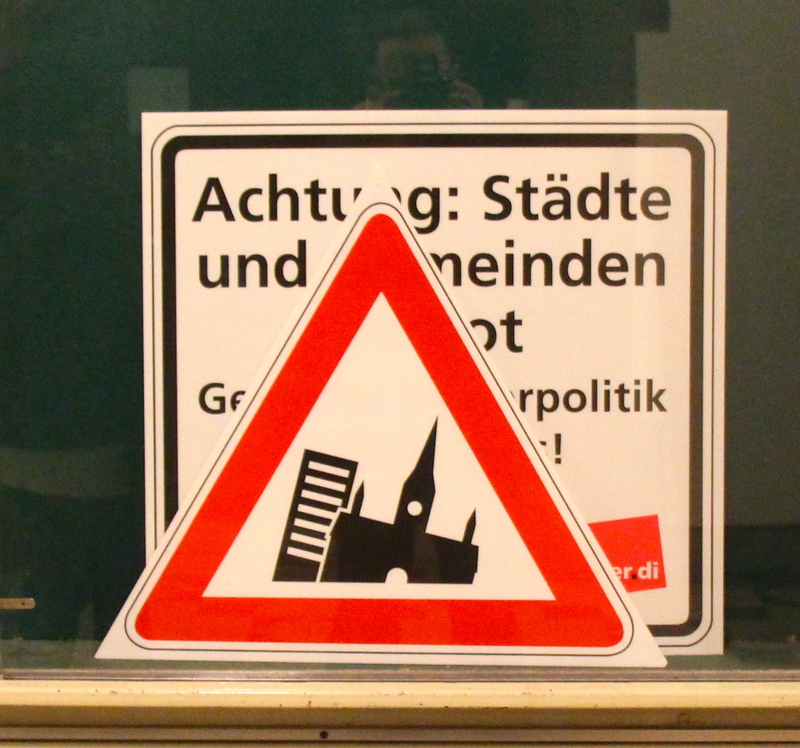 Are they looking for a leaning tower of Saarbrücken tourism? 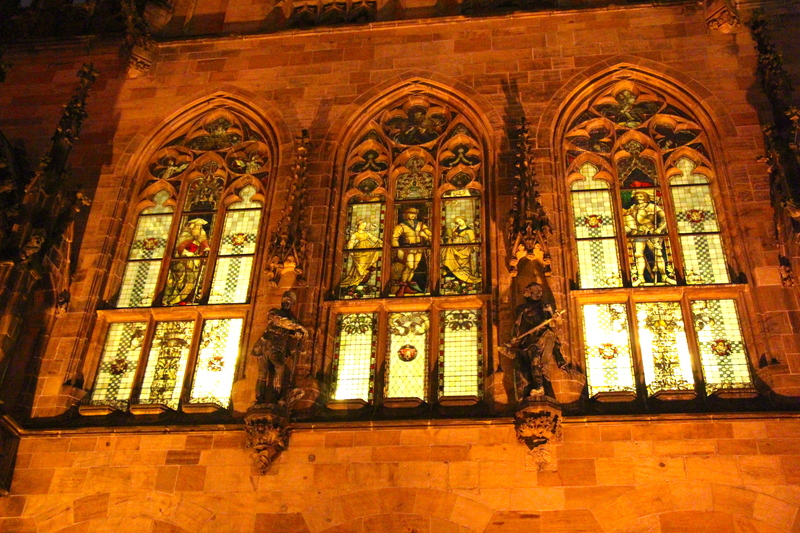 Outside the Rathaus, looking up at the events area. What was incredible is that from the inside, you couldn’t see the window decoration hardly at all! 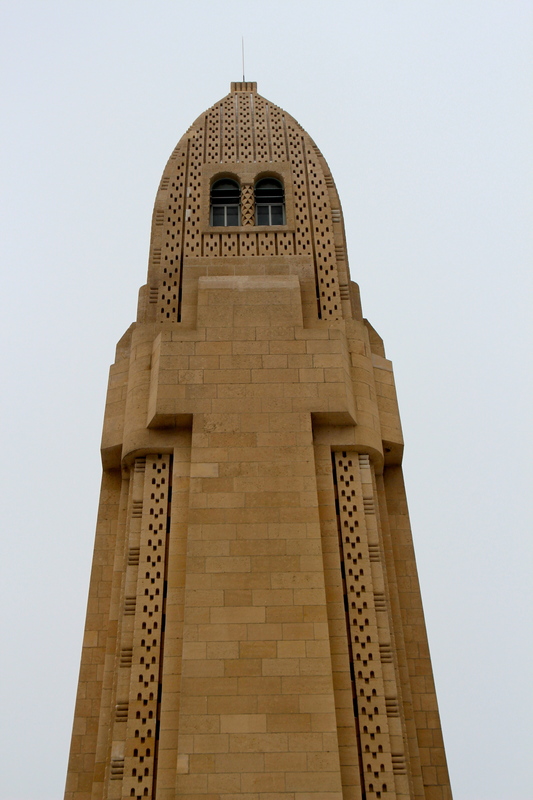 monument to soldiers in Downtown Verdun. Just behind this wall is another battlefield/fort area, but it wasn’t open. Looking down over Fleury-devant-Douaumont. This used to be a town, but it was completely wiped out by the fighting in the Battle for Verdun. 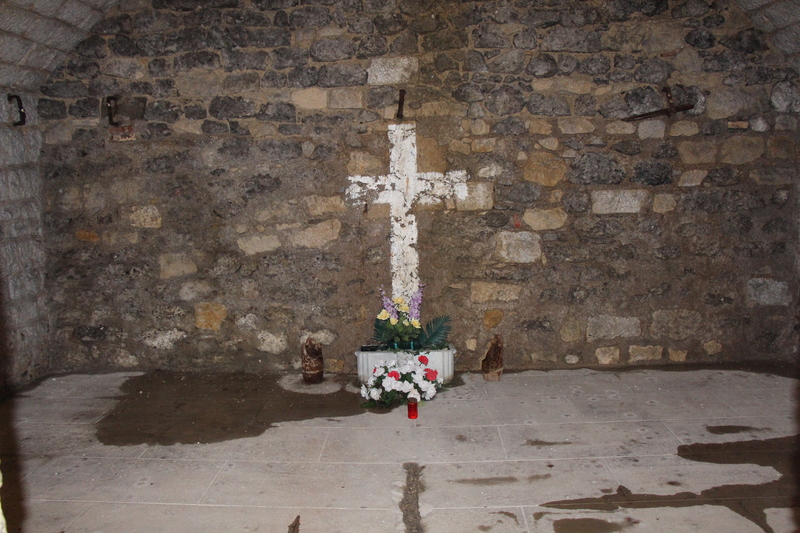 The Chapelle Fleury-devant-Douaumont. 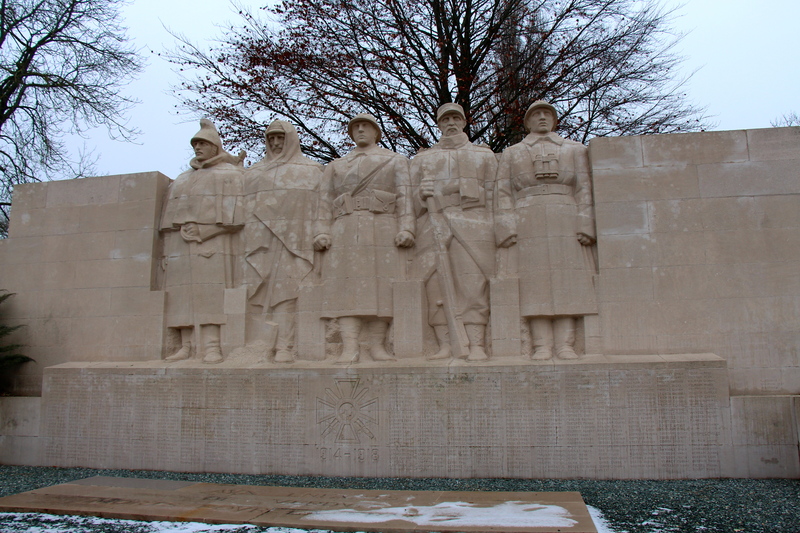 It was built as a memorial to those who died fighting for France in this town. It is truly chilling to walk along paths that used to be roads and see markers that indicate that so and so’s house was there, or that the town church was here. As you can see, the ground is pock-marked from the battle even today. Our Lady, wrapped in the colors and stars of the EU. 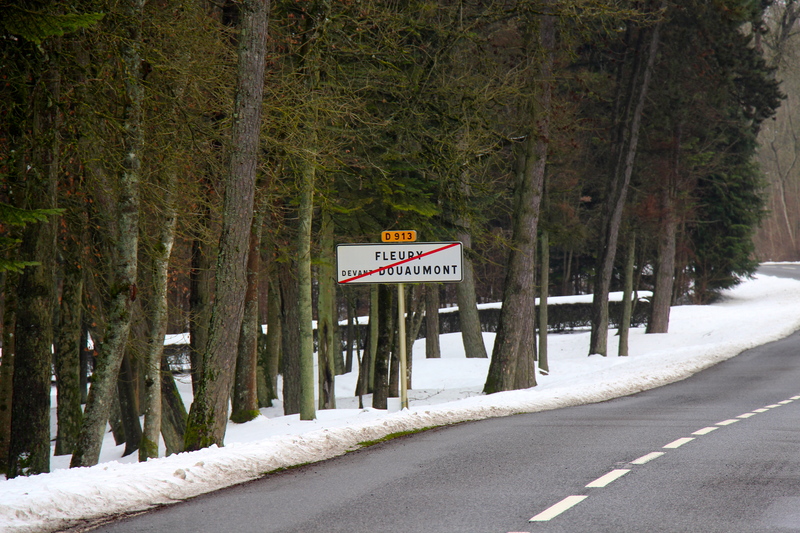 I imagine the implications of friendship between France and Germany are especially poignant in this area. I also just loved this picture. I also thought that the road sign, indicating that we were driving out of town, was especially poignant. Leaving a town that doesn’t exist anymore. 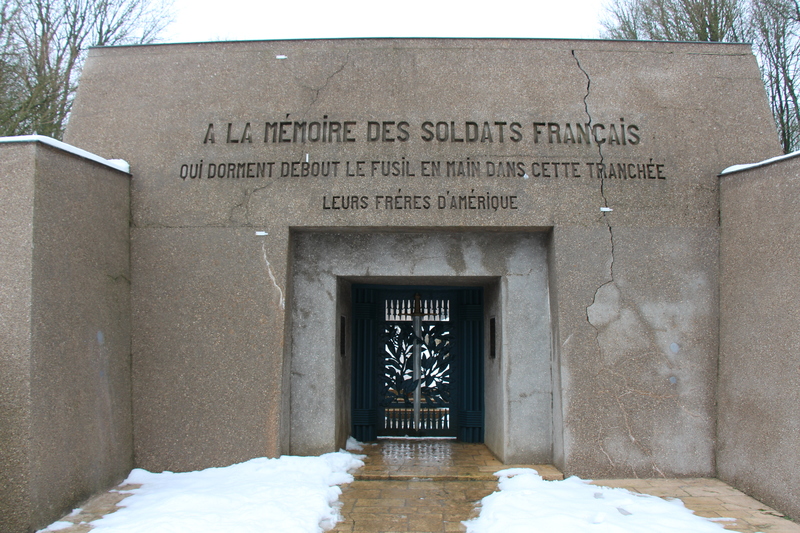 The Douaumont Ossuary, holding the remains of French and German soldiers who died at Verdun. 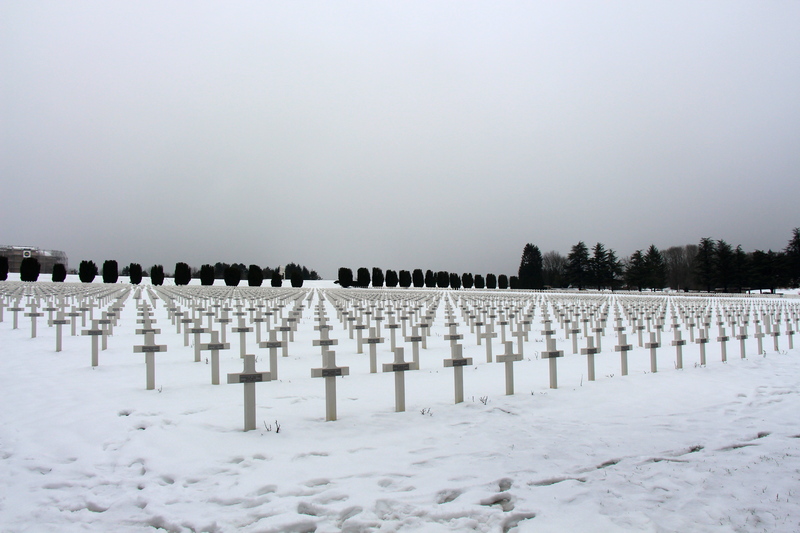 Through the windows of the building, you can see the skeletal remains of over 130,000 soldiers. 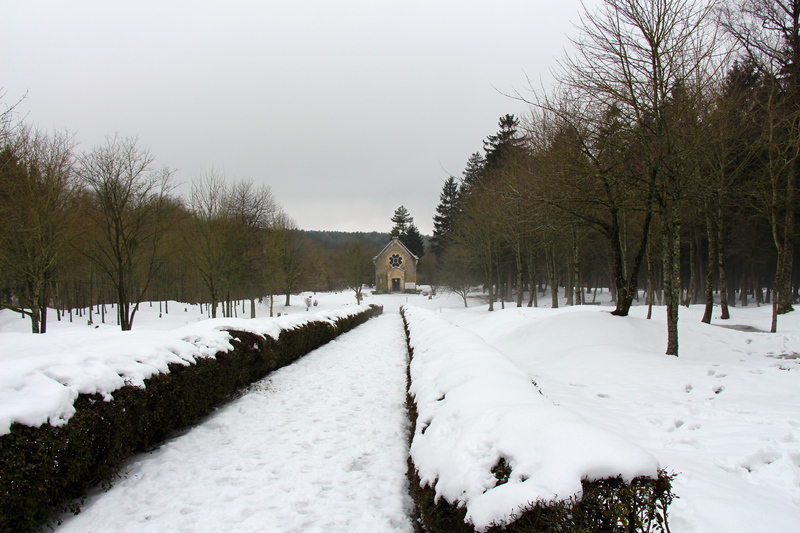 In front of the Ossuary is the largest single French military cemetery. Holding over 16,000 French soldiers, it was designed by Andre Maginot, who is credited (obviously) with designing the Maginot line, which (for those of you like me for whom military strategy in general is a foreign language) is a line of fortifications and defenses used to protect France, particularly from Germany. It wasn’t ultimately all that effective, although it certainly had it’s fans. 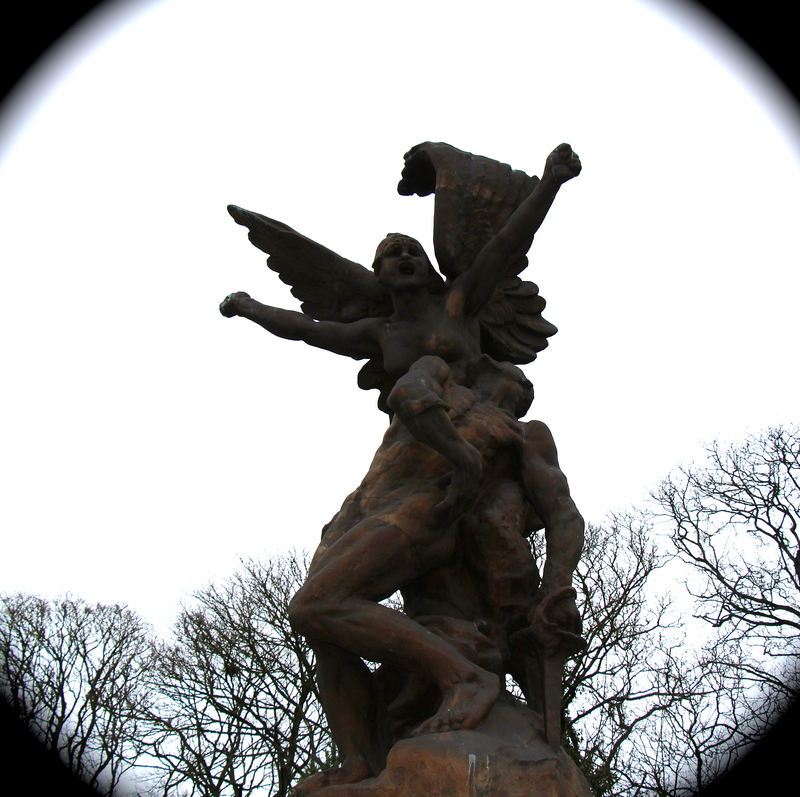 A memorial to those who died in trench warfare. 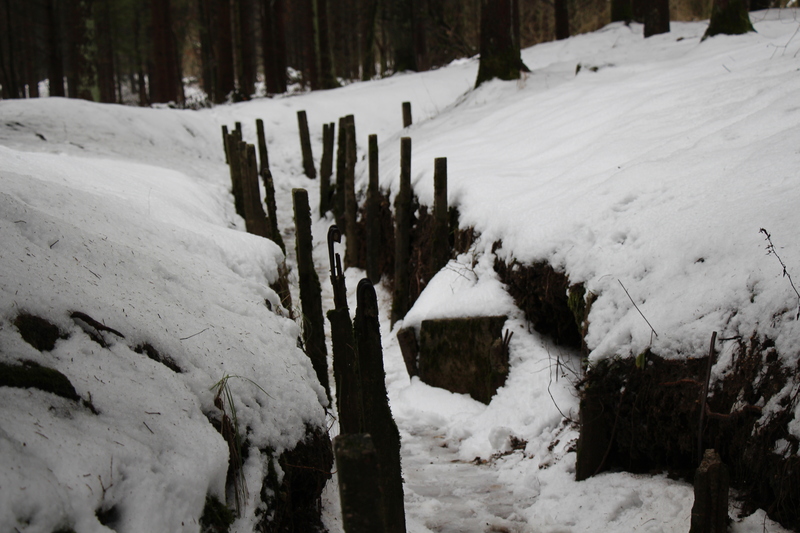 This was also very chilling, as the trenches themselves (inside here) had barbed wire and graves, which was very sad to me. Walking through a trench to get to the trench. 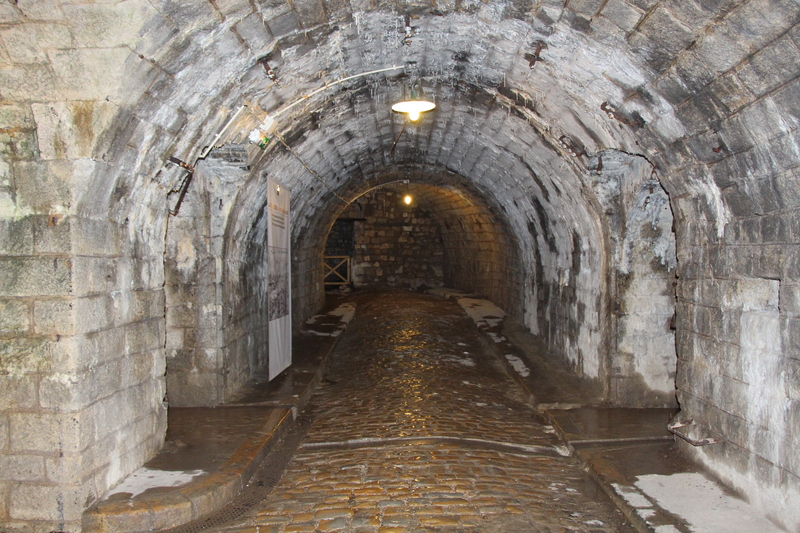 Fort Douaumont. This place was intense. It was significantly colder inside than outside, which made for good symbolism if nothing else. 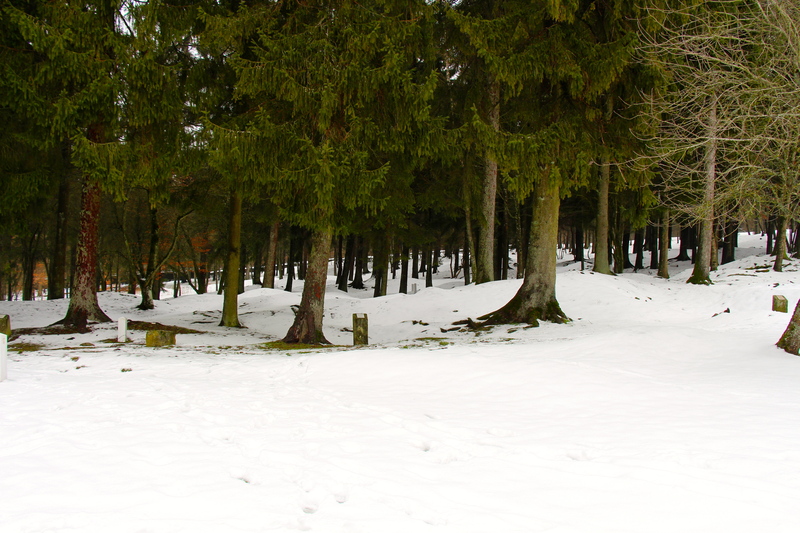 Fort Douaumont was a key part of the fight for Verdun, and changed hands between the Germans and the French several times. It is (was) the highest and largest fort along the French fort-line. If you ever go there, get the video guide – those are some of the best audio or video guides we’ve ever used. These halls (tunnels) extend several kilometers in all directions. The fort (I believe) was built to house 300 (+/-) soldiers, but at some points in the war, it would have over 3500 at one time. It is probably useful to note that the fort was built WITHOUT bathroom facilities. Apparently, the stench caused a lot of stomach upset, which only added to the stench. GROSS. Many, many lives were lost in and around the fort. Behind this wall, several (14, I believe) soldiers were buried after their bodies were unable to be identified or retrieved following an accidental explosion in the fort. 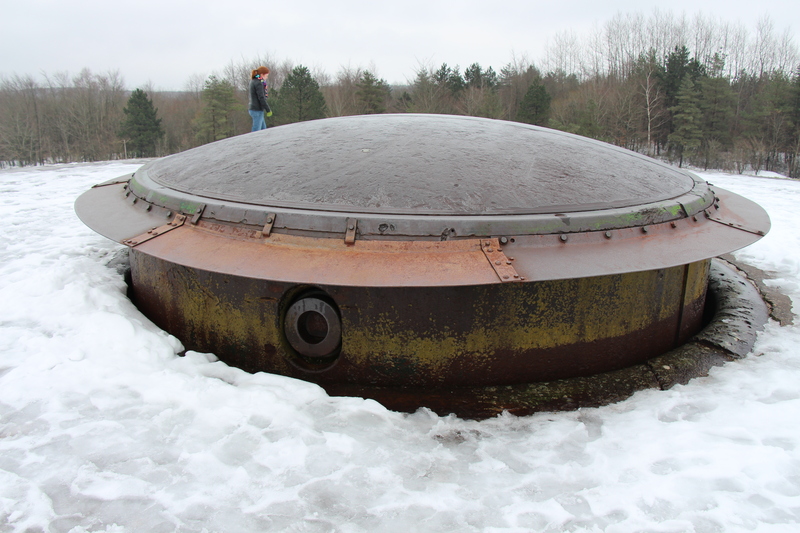 On top of the fort, you can see the largest gun associated with the fort (155mm). As the war was getting started, the French decided that the forts weren’t going to be all that helpful, so they nearly abandoned the fort. The Germans then easily took it, as only a few “middle-aged” army folk from France were on hand. This back and forth went on for over 300 days… That’s why the German name for this battle translates to “The Hell of Verdun.” In a related question, and I’m not trying to be flippant about all of this, but why on Earth am I not wearing my hat??? Seriously. I know I had it on most of the time… Weird. We stopped along the side of the road so that Mike could check this out: it isn’t part of an officially preserved memorial or anything, but this is a trench from the battle here, almost 100 years ago. 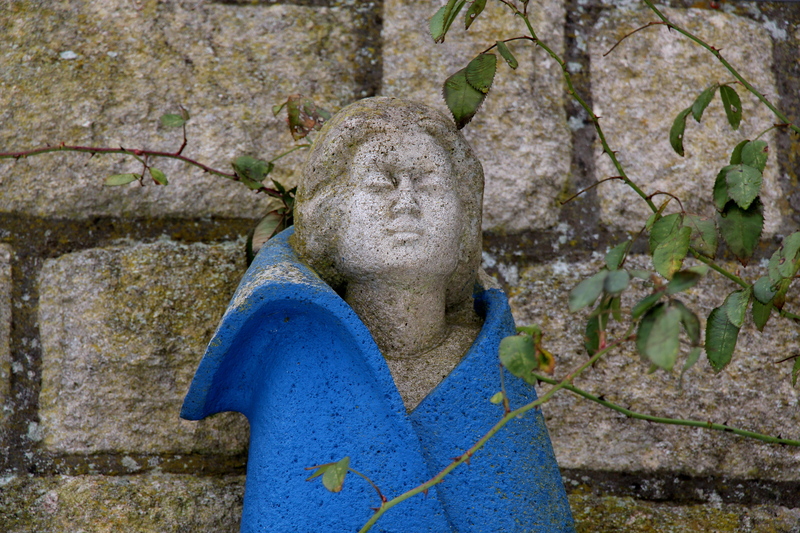 Back in downtown Verdun, we saw this statue. Beautiful. Heroic. 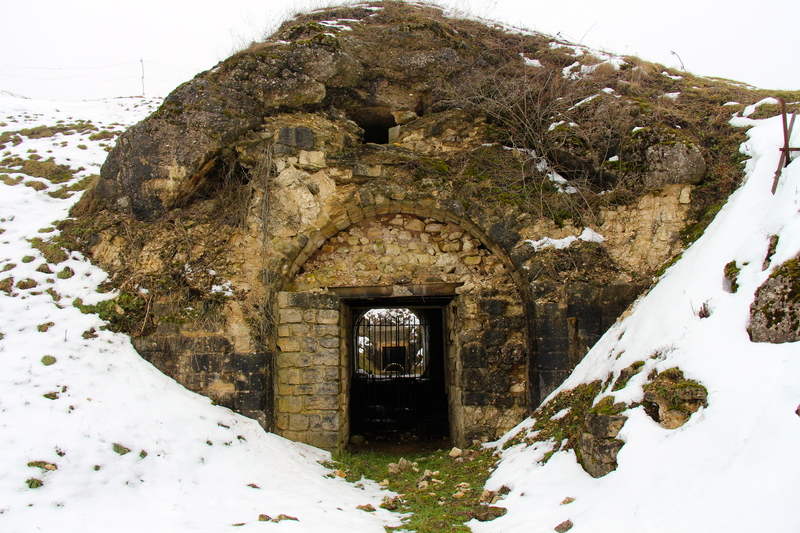 This entry was posted in History, Traveling and tagged Fort Douaumont, France, Germany, Lorraine, Saarbrücken, Starbucks, starbucks mug, Verdun. Bookmark the permalink. 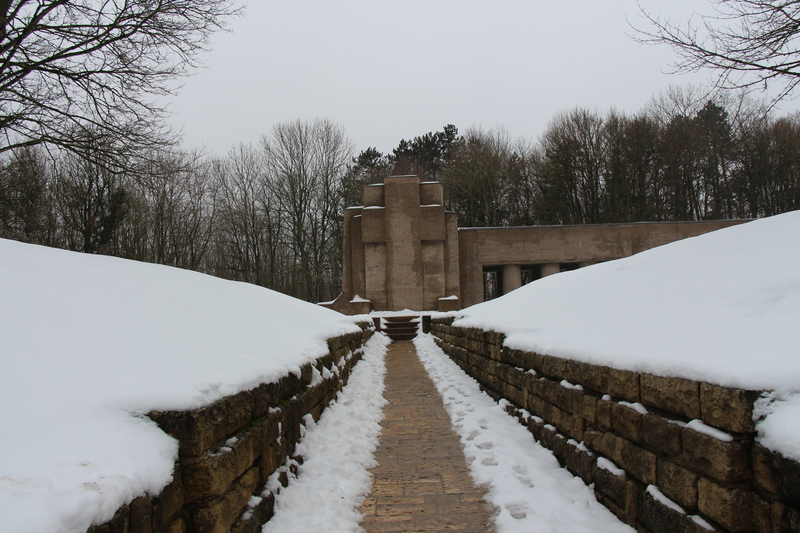 Thanks for sharing your trip to Verdun. I’ve always wanted to see it since so many French streets are named after the town. When I went to Normandy several years ago, we were told that the French made a conscious decision not to “prettify” the battle-scarred ground as a reminder of the horrors of war. It definitely left an impression. Did I see vegetation growing out of the cement in the pix of Mike at Saarbruken? The whole day was interesting and you certainly deserved the “on the rocks” Margo’s. 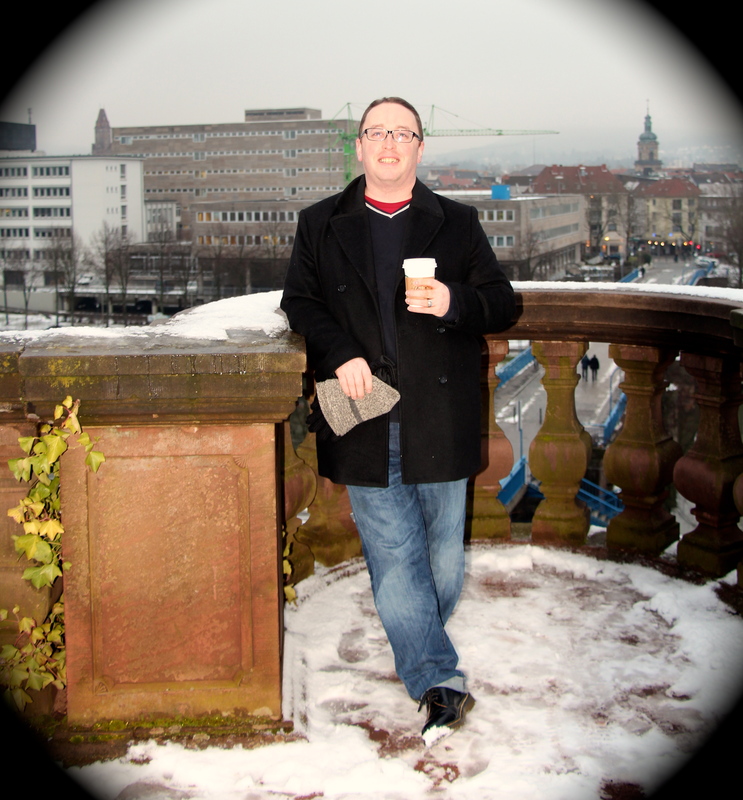 A little intro to Saarbruecken from another point of view.